Angela Yosten, blogger, author, web developer for Moda Fabrics and fabric designer, is a jack of all quilting trades. She is talented, creative and sweet as can be. 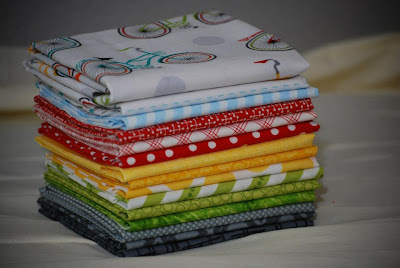 We are thrilled to present her Blogger’s Choice Fat Quarter Bundle, which consists of twelve prints and three solids that are 100% Angela approved. 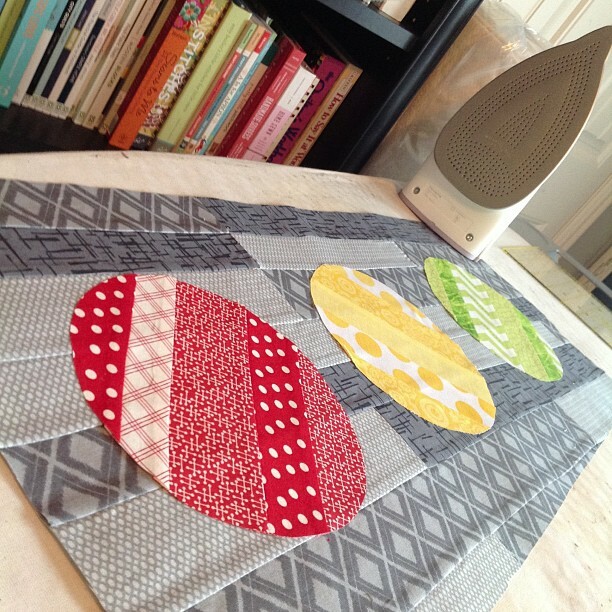 Q: What will you be making with your Blogger's Choice Fat Quarter Bundle? A: For my Blogger's Choice Bundle, I selected fabrics that would work great with my book, Stop. Go. Quilt. Sew! These fabrics are perfect to use with any project within my book. 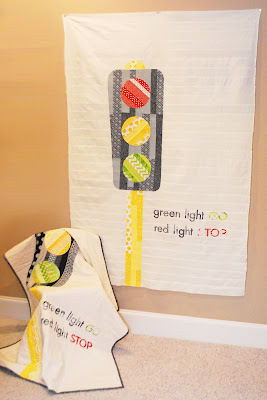 I made up another version of my Traffic Light Quilt from the book using the bundle and a Moda Bella Solid Jelly Roll in Snow. I love the way the quilt turned out! It is so much fun and I love how all the fabrics worked so well together. A: I am currently working on some new pattern designs featuring my new fabric collection from Moda Fabrics, Flats! I am so excited about this collection! 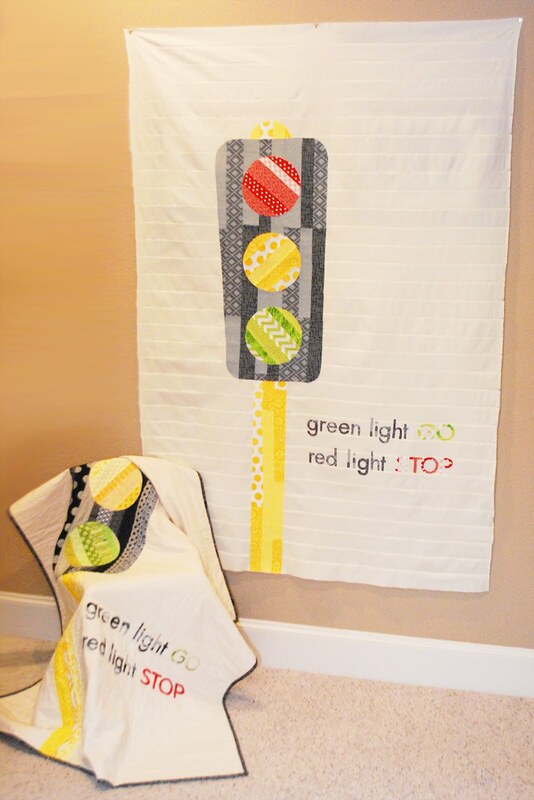 It features 4 project panels that have cutouts and instructions to make little flat cloth dolls. Two of the panels are filled with all kinds of fun wardrobe options for kids to mix and match and velcro onto their handmade flat dolls. 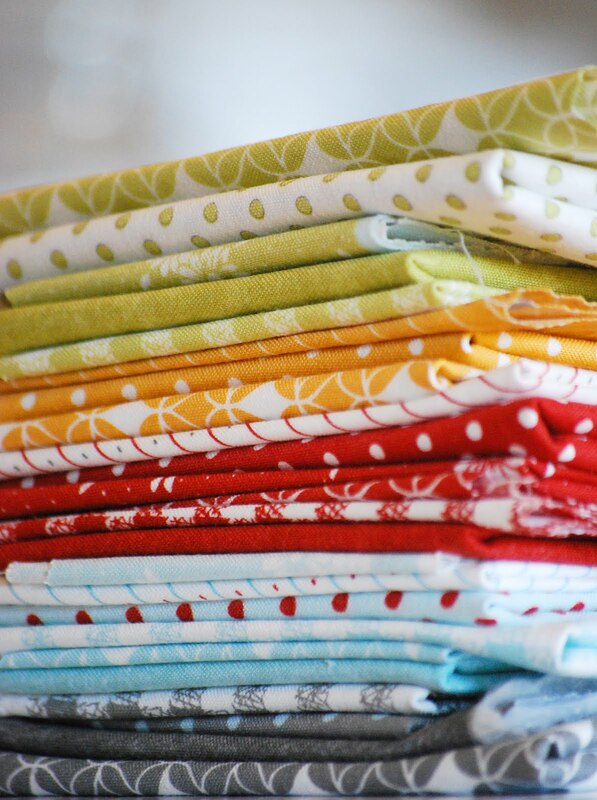 The collection also has 24 coordinating prints so you can make a Flats House, quilts, clothing to match your dolls, and so much more! Leave a comment on this post choosing one of each pair you think Angela would have selected. Answer correctly and you will have a chance to win one of her Blogger’s Choice Fat Quarter Bundles. Contest closes Tuesday January 29th. Good luck!.